First day covers are a unique facet of philately. A first day cover is an envelope affixed with unused stamps bearing at a minimum the current first-class postage, having a postmark indicating the first day of issuance city and date. They can be simple covers (a stamp affixed to a plain envelope), or cachets comprised of thrilling creations of the imagination. Beautiful hand-painted designs spring from the minds of school children and professionals alike; computer-generated creations are becoming more and more common. The designs are all created around a theme related to the stamp affixed on the cover. In producing first day covers, customers normally have 60 days from a new stamp's date of issue to purchase stamps, affix them to covers, individually address covers and mail them to the address below. Covers are no longer sent to the first day city for processing. Covers are then canceled, overwrapped for protection, and delivered back through the mail stream. After applying the first-day-of-issue postmark, the Postal Service will return the envelopes through the mail. There is no charge for the postmark up to a quantity of 50. 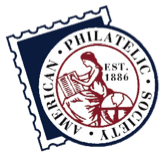 There is a 5-cent charge for each additional postmark over 50. All orders must be postmarked no later than 60 days after the day of issue.